This sample of szaibelyite is displayed in the Smithsonian Museum of Natural History. 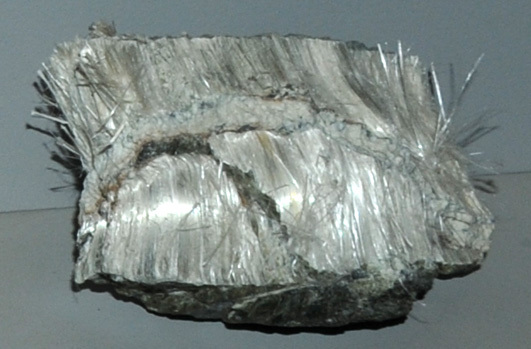 Szaibelyite is a fibrous mineral which contains magnesium and boron with the composition MgBO2(OH). This sample is about 13x5 cm and originated in Ait Ahmane, Morocco.